The Sliding Bike is an ergonomically designed bike that can be easily adjusted to accommodate the height of its rider. 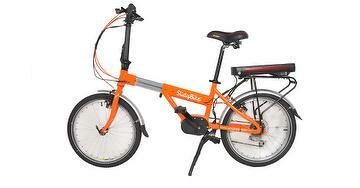 Easy to operate and use, the patented bike design is a perfect combination of form and function. The Sliding Bike uses a one-piece sliding mechanism without any joints, which greatly enhances its strength while making it even easier to slide and adjust. Now in its 4th generation, the one-piece, fully integrated sliding mechanism main body is produced using a T4 heating treatment and T6 hardening treatment. The body is then precision machined using a fully automated process. To further ensure the highest quality products, the assembly will go through a final 100,000-time vibration test. The Sidling Bike is a ride designed for the whole family to enjoy. Its key innovation lies in the sliding function that replaces the traditional folding design. The award-winning design has won international recognitions including the Industrial Innovation Award, the Japan Good Design Award, and the Taiwan Excellence Award. Sliding Bike Development Ltd. was founded in 2005, dedicated to the innovation and development of sliding bike technology. Source: Sliding Bike Development Ltd.